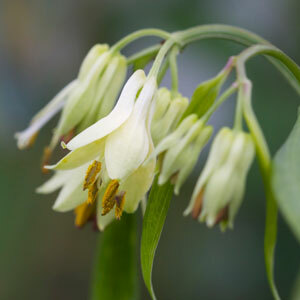 This member of the Solomons seal family collected by Crug Farm in China, spreads itself by rhizomatous root system. Best grown in nice woodsy humus rich soil in shade to semi shade. 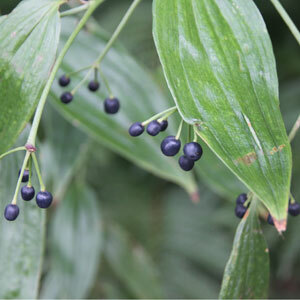 Cream flowers appear May - June followed by blue-black berries in Autumn. One of our favourite plants in the garden. Plants ready May June 2014.